In a recent announcement, ND Energy Director Prof. Peter C. Burns introduced Dr. Subhash L. Shinde, newly appointed associate director of the Center for Sustainable Energy at Notre Dame. Shinde will lead ND Energy’s initiatives to advance global research development and corporate programs effective November 14, 2016. Shinde brings to ND Energy an extensive background in research and program development with more than a decade of management and leadership experience at Sandia National Laboratories. 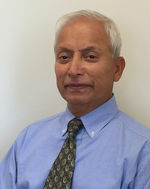 Throughout Shinde’s career, both at Sandia and previously with I.B.M. Microelectronics Division and Research, he has demonstrated strong leadership capabilities, extensive technical knowledge, and the acumen to organize well-functioning and productive teams. He is an accomplished author with several publications, including three edited books and a book chapter, and has more than sixty U.S. patents and another eighteen internationally. He is regularly invited to present at national and international conferences and has received several awards for his work. Shinde received his Ph.D. in Materials Science from Stanford University and his B.Tech in Metallurgical Engineering from the Indian Institute of Technology, Bombay, India. An important new emphasis for ND Energy is to better align with the University’s Catholic mission and bring policy and science together to address global energy issues. To do this, ND Energy will seek to develop relationships with research teams in selected developing countries and co-innovate with faculty and students to produce technical and non-technical sustainable energy capabilities. This broadening of the center’s vision to impact global energy and sustainability challenges, especially in developing countries, is consistent with Notre Dame’s Catholic mission, Pope Francis’ Encyclical Laudato Si’ (Praise be to you – On Care for Our Common Home), and the Sustainable Development Goals developed by the United Nations. Another important area for ND Energy is to develop more corporate relationships. This will require expanding current relationships with industry partners and foundation leaders and continuing to develop new partnerships that will support the University’s efforts to compete for large-center grants. Shinde is joined by his wife, Neeta Verma, who is an Associate Professor of Visual Communication Design in the Department of Art, Art History & Design in the College of Arts and Letters. He and Neeta have a son, Rahul, who works and resides in Philadelphia, and a daughter, Mirai, who is a student at the University of Michigan. ND Energy is a Notre Dame Research center whose mission is to build a better world by creating new energy technologies and systems and educating individuals to help solve the most critical energy challenges facing our world today. For more information, visit the ND Energy website at energy.nd.edu or contact Barbara Villarosa, Business and Communications Program Director, at bvillaro@nd.edu or 574-631-4776. Originally published by Barbara Villarosa at energy.nd.edu on November 08, 2016.